People from civil society in India have raised concerns against a two-month-long blockade at Indo-Nepal border that has led to fears of food insecurity within the hill country. They have also appealed the Indian government to help end the blockade. A blockade on indispensable fuel and other essentials imported from India has now entered its third month. 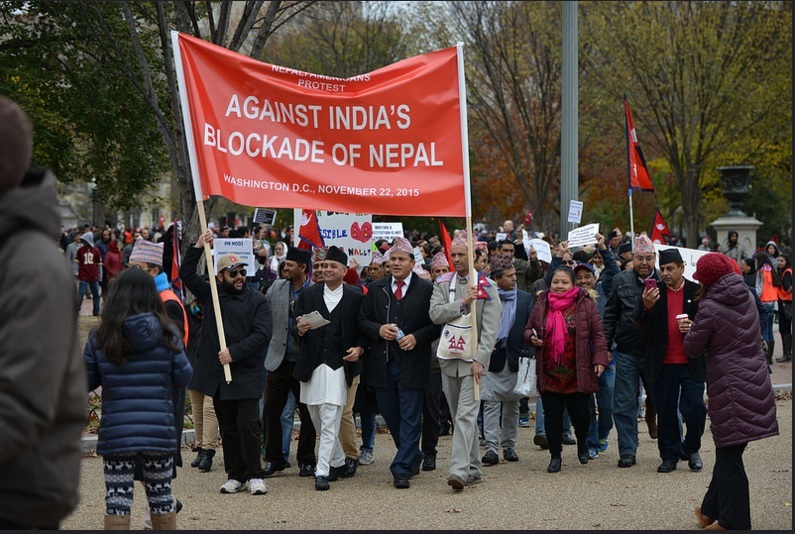 The blockade is in response of newly drafted and accepted constitution of Nepal. It is being said that the new constitution is not inclusive in nature. The people of southern region of country, known as Madhesh region, have reportedly have been ignored. They have, therefore, created this blocaked with support of India. RTFC reaffirmed that the people of Nepal have sovereign right to frame their constitution. "Any problems that arise out of this process must be resolved amicably by the people of Nepal themselves and without any outside interference." In it’s a press release, The Right to Food Campaign India (RTFC), expressed deep concern about the situation of food insecurity that followed the blockade. For almost two months now, essential supplies, including food, medicines and fuel, have not been able to reach Nepal. More than 17 organisations, and dozens of individuals endorsed the appeal made to government of India to remove blockade to the country that is still recovering from a disastrous earthquake. Nepal is bracing up for a winter that will result in a number of villages being cut off from the mainland. Essentials need to be delivered to these areas urgently before all the roads to reach them get blocked. “The blockade is causing a serious threat to human life and dignity and compromising the human right to adequate food and nutrition,” says Kavita Srivastava, national convener of RTFC. “We unequivocally condemn all those involved in creating and perpetuating,” she adds. The press release accuses the Indian government of high-handedness in the blockade. “There are serious concerns from many quarters that the Indian government is backing the blockades. As a good neighbour, the Government of India, in such a situation, should dispel these allegations and must ensure that the common people of Nepal do not suffer due the political tensions,” the press release states. The organisations made an appeal to the Indian government to take proactive measures to end the blockade. “We are urging Indian government to stand in solidarity with the people of Nepal at this time of crisis. The Government of India must redouble its efforts to ensure that adequate supplies reach Nepal through other border routes that are not affected by the protest on the Nepalese side of the border,” says Srivastava. The release also appeals to all political parties, and people of Nepal to address the genuine political grievances and fulfill the aspirations of all sections of society in Nepal. The group also congratulated the people of Nepal for including the "Right to Food" and "Right to Food Sovereignty" as fundamental rights in the Nepalese Constitution. This pioneering Constitutional provision is worth emulating for all countries in the region.